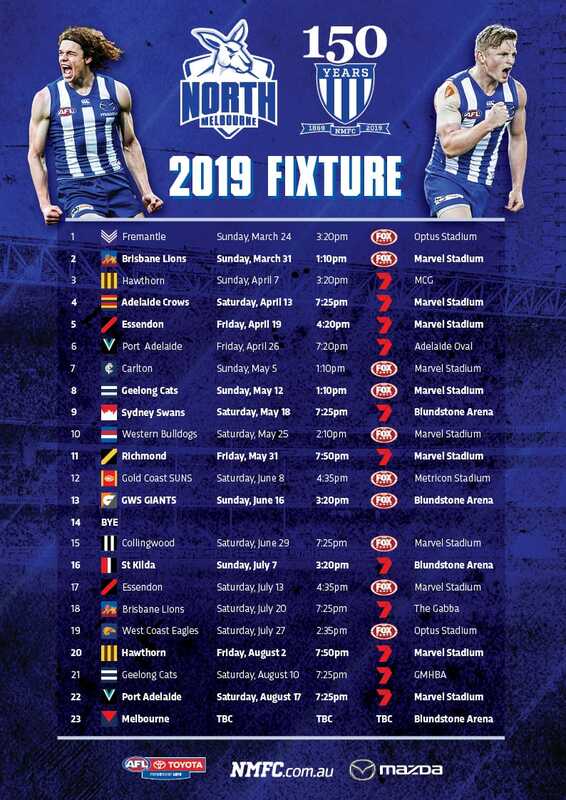 Nick Rippon will again be a key player for North Melbourne in 2019. Avalon Airport Oval plays host to the clash between David Loader’s Roos’ side, and Mark Williams’ Tigers. North Media previews both teams ahead of Saturday night’s match. Bringing knowledge on and off-field, Whitecross joined the club in the off-season as a playing assistant coach. After 111 games at AFL level for Hawthorn, the midfielder is sure to provide some added grunt. "He brings a wealth of experience that will be beneficial for our group, because we were extremely young last year,” Loader told the VFL website. "He’s so versatile on the field too – he can play forward, back or as an inside and outside midfielder. He keeps telling me he’ll play at full forward and I should empty the forward line out for him, but we’ll see…"
The former Swan adds more valuable experience through the midfield, having played 25 AFL games and dominating at NEAFL level in recent years. Loader predicts Robinson will play predominantly on the inside. The former Sun and Docker returns home to Avalon Airport Oval, having played 40 VFL games for the Tigers in 2008-2009. At 32, he still has plenty to offer. "He’s led from the front in every aspect of training this pre-season," Williams told the VFL website. "I’ve been mentoring him as an aspiring coach and he’s going to be our midfield coach as well as playing. He’s hard-working, well organised and presents very well to the players." The former North key-defender made the move to Werribee in the off-season and is a key inclusion in defence. After seven AFL games, Nielson looks a potential match-up for his former teammate Nick Larkey, who will be looking to hit the scoreboard early in the year to build his confidence. 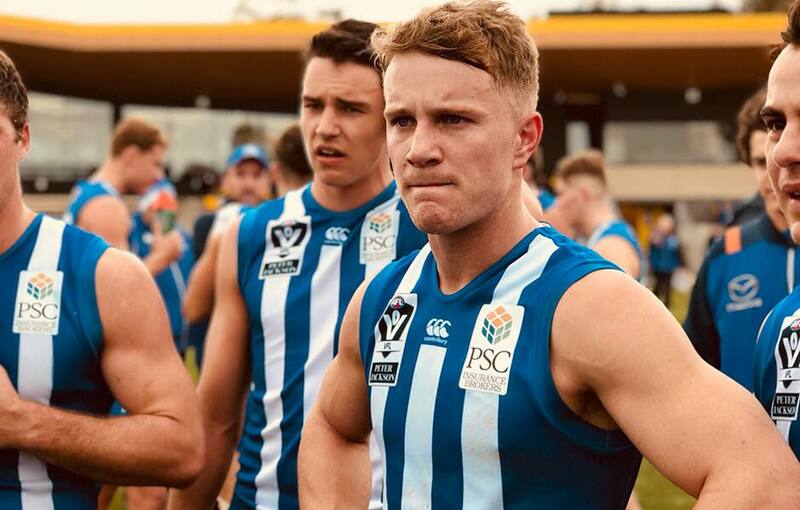 While the North Melbourne AFL-listed contingent will have a huge role to play, there's plenty of state-level talent for the Roos to choose from too. As a standalone side, the Tigers also have plenty of stars at their disposal. The 25-year-old took home the inaugural North VFL Best and Fairest last year, and also boasts a JJ Liston Trophy from his time at North Ballarat. Rippon has the ability to dominate through the midfield, but also provide run from defence if he's needed. Second in the Best and Fairest in 2018, Jansen is expected to take it to yet another level this year through the middle. At just 24, the former Central Districts' on-baller was co-captain last year, and plays a key role leading the way for the Roos' younger VFL and AFL on-ballers. A trifecta of best and fairests between 2015 and 2017 makes Hanson one of the league's most dominant midfielders in recent times. "I can see he has the attributes to be an AFL player and his desire and preparation for all games and training sessions sets him apart," Williams said. "At this stage last year, we were creating a list of 24 VFL players that had never been involved with us before, so all our pre-season training was built around things being new. This year a lot of guys have re-signed from 2018, so we’re not starting from as far back and that’s made it a little bit easier to define what we want to put in place. "We’d like anyone that comes to watch us play to say we look the same at VFL level as we do at AFL level – that’s when we know we’re doing the right things to develop our kids. We want to bring pressure to the opposition and play an exciting brand of football." – VFL website. "From a general team perspective, I think we’ll be well organised, a good kicking team and competitive." – VFL website.